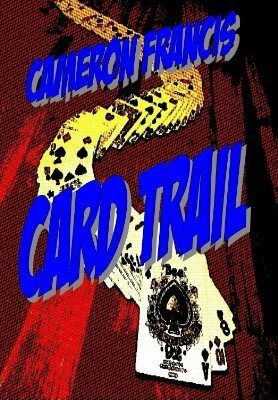 Cameron's best ebook yet! Five effects and one in-the-hands false cut. Jaw dropping card magic that's big on impact and easy on the knuckles. Fun plots and novel methods abound in this compilation of pasteboard chicanery. IMPROBABLE VS. IMPOSSIBLE -- A prediction effect and four Ace production... sounds weird but it's really cool. OUT OF POCKET -- An insanely visual card and bill transposition. SAVING ACE -- A Triumph/Ace location effect that makes you look like a sleight of hand master, but is pretty easy to do. PROVIDENCE -- A sandwich effect with a big twist. ALIEN NATION -- An off-beat color changing deck routine. THE JUST ENOUGH CUT -- An in-the-hands false cut that's just flashy enough without being gratuitous. This photo illustrated, 14 page PDF comes complete with video links so you can see performances of all of the effects. 1st edition 2011; 14 pages.